Children's books always take us to the most charming places. 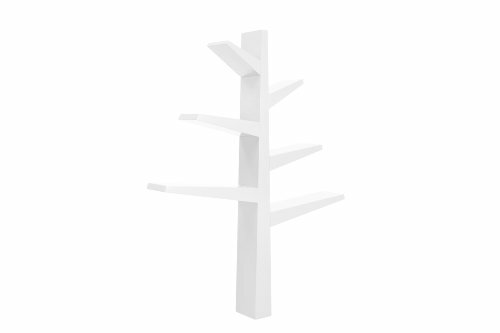 Enjoy that charm and warmth always in your child's room with the cheerful Spruce Tree Bookcase. Not only does it add playful joy to any room, the bookcase also has exceptional functionality, holding roughly 12-15 children's books on each branch, with enough space in between branches to store some of your favorite items. The Spruce Tree Bookcase is crafted from Poplar hardwood and CARB II compliant MDF, and attaches securely to any wall in the house. Finished with high-gloss, low-VOC lacquers, the Spruce Tree Bookcase is a stunning fixture in either forest green or white.